Women's studies is a rapidly expanding field with a tremendous growth in the number of London courses available. As a result of this there has been increasing debate about the nature of feminist research. Can a specifically feminist methodology be identified? Which research methods are most appropriate in feminist work? What is the difference between a feminist approach and other forms of scholarship. 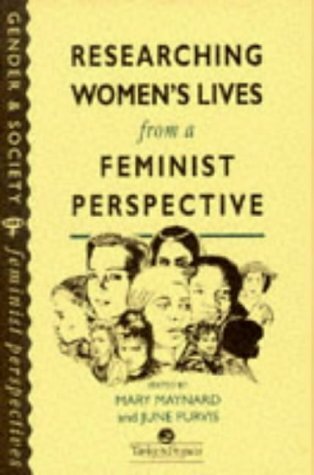 "Researching Women's Lives" explores these issues by focusing on the dynamics of doing research, rather than engaging in a theoretical discussion about research techniques. Feminists are now involved in exploring a whole range of wider issues concerned with practical, political and ethical matters in undertaking research. In addition to issues such as violence, sexuality, political activity and popular culture, contributors also examine the impact of race, class, sexual orientation and age.